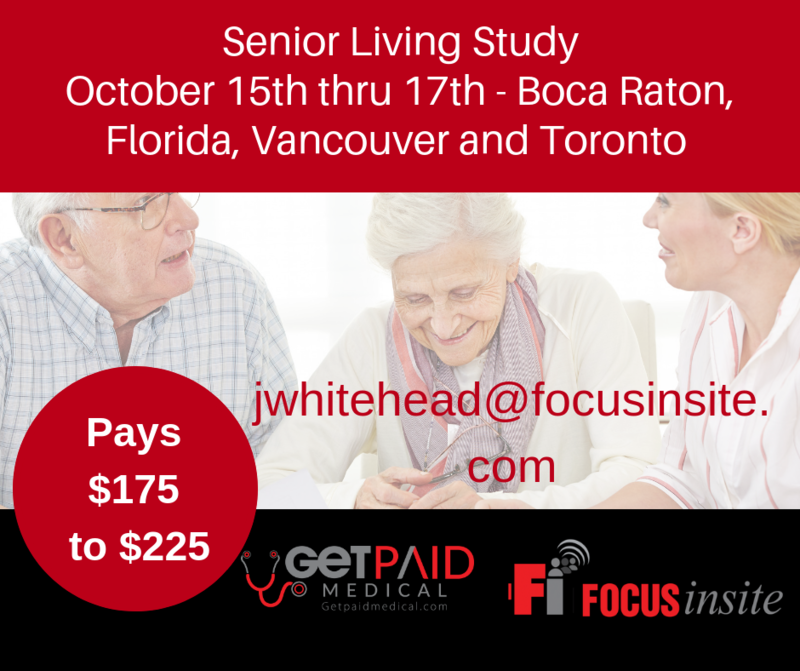 We are looking for caregivers, seniors, friends and family and resident staff in both the city and suburbs of Toronto, Vancouver, and Boca Raton, Florida. Sessions will run approximately 90 minutes. We need MULTIPLE people in these areas! For more information, fill this link out HERE- or email below and we will contact you!